Back in September 2001, a farmer noticed a stray dog on his property. The dog was friendly, and would hang out with the farmer's dog behind his house. 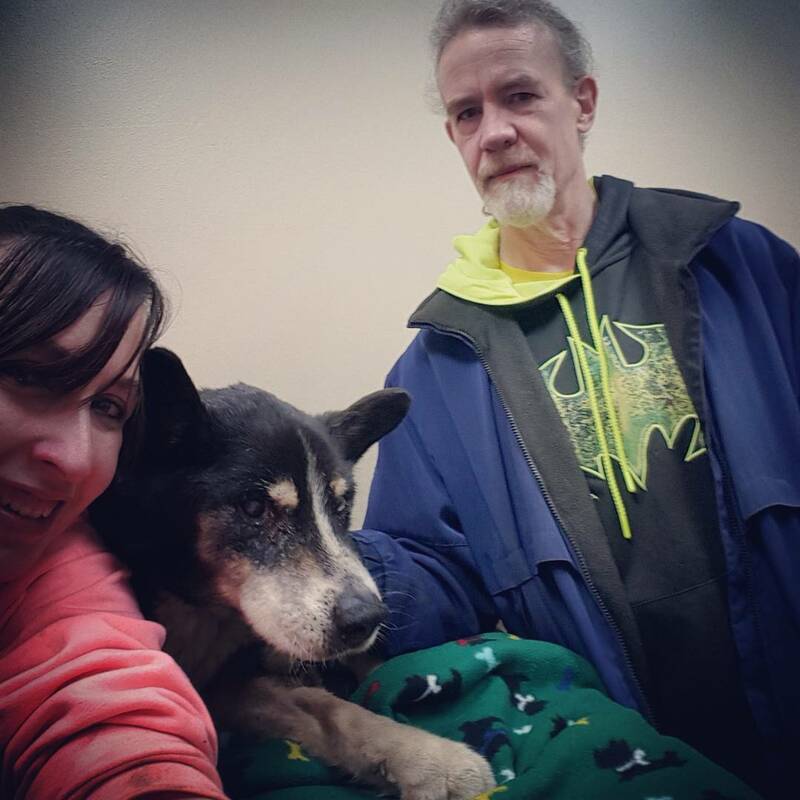 The stray, a husky-looking mix, didn't leave, and after three days the farmer took the dog to the Champaign County Humane Society. They estimated that he was 18 months old, giving him a birth date in March 2000. I took my daughter, Sheena, who was 14 at the time, to the Humane Society in October 2001, where we first met Axel and heard his story. He was young and springy. When we took him to the outdoor play area he would spring into the air, chest high, with exuberance. He became Sheena's dog and a part of our family. Dubbed Axel Rose by my daughter, he could leap over the fence around our yard, and dug furiously when he was bored. He was a fixture in our household. When Sheena eventually moved out of the house, she realized how hard it is to rent a place that allows dogs. And Axel remained a fixture in our household. He and I had a camaraderie that held fast as one by one the kids moved out. Axel was never my dog. But Axel and I were always solid, both of us constant in a household of swirling change, the comings and goings of children and other pets. In recent years I've seen Axel lose much of his eyesight and hearing. Eventually he could no longer handle stairs. Lately, he had to be carried in and out of the house. He was still a happy dog, and still could have a good time. Today marked the end of an amazing, 16-year run.